How to Increase Internal Memory of Phone ? Internal memory of phone is very important, all your apps get installed in your phone internal memory and that’s why the speed of your phone depend on your phone internal memory (RAM). But if you have phone with low internal memory, you can not play heavy apps and games on your phone. But buying a phone with good internal memory is very costly, so here i have a trick by which you can increase internal memory of your phone by just investing very low in SD card. But if you already have SD card you can increase internal memory for free. Here i am writing complete guide on increasing phone internal memory using memory card. Just follow this guide. The main advantage of increasing your phone internal memory or RAM is it increase your phone speed. As now you can use more app simultaneously or you can run heavy apps. Second it will prevent hanging or freezing of your phone.Generally your phone got stuck , due to low internal memory. Third it is cheap you do not need to spend money on new phones with high internal memory. 1. A SD Card Min 4 GB (Class 4 or High) and Card Reader. 4. Mini Tool partition tool. Download and install the Mini Tool partition in your PC or Computer. Now attach the SD card to your PC using Card reader (You can also use internal card reader of your laptop). Now Open Mini tool Partition, and then click on SD Card option the select the Delete option(It will format your SD Card, if you have some important data, then take it backup before). Now right click on your SD card and Select Create Option. Now in the opened pop up select the Primary partition and FAT file system (if card is less then 4GB) and FAT32 (if size is more then 4GB). At-least leave 512 MB space for another partition. Now Click on Done. And then right click on unallocated space of your memory card, then use the same procedure by creating new partition but this time select EX2, EX3, Ex4 as file system(Ex2 is recommended). Now click on Apply changes wait for some time while it partition your card. Now Install the Link2Sd in your phone. Run the app, it will ask for root permission. Then it will ask for .ext partition that you created earlier. Select the Ex2 or Ex3 or Ex4 (you used during partition). Now it will display ” Mount Script Created “. Now reboot your phone. Open Link2SD, if no error message appears , that means you successfully increased your internal memory. Now Go To Link2SD>>Settings>> Then Check the Auto Link option. It will mopve all your apps to your memory card automatically. Now run as heavy app you want. You can install any no of apps. This method really worked for alsmost evry phone. 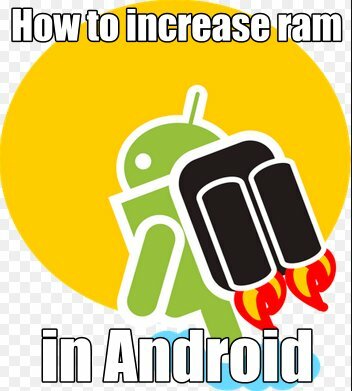 I have tested this method and increased internal memory of Galaxy Y, HTC Explorer, Galaxy Ace, MI Redmi 1S and Some Micromax sets. You can also try on your phone and do let me know if it work for you. And also ask me if you have any problem while using this process to increase internal memory. Good Day my friend.. i just did what you said.. but my phone has iot problem after the reboot the phone get stuck in black.. what should i do for this.. please help… please email me..
Hi when I create the partions how will I know which partition in the SD card will be used to merge with internal storage? I have Xolo phone. After following all the steps as suggested by you, i get the message in the phone “mount script cannot be created. not allowed to su”.